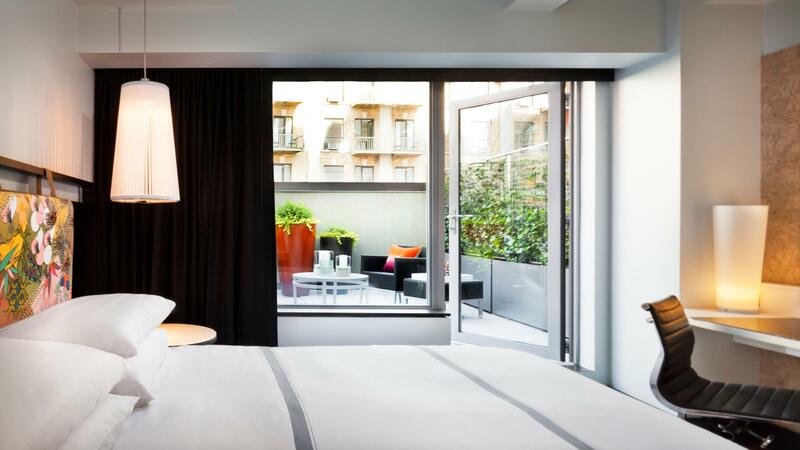 Located close to 14th Street in the heart of New York City, this Forbes Travel Guide Four-Star hotel features an upscale urban space that combines contemporary design with natural elements. The hotel's exterior is adorned with a historic façade, the lobby features 25-foot ceilings, and guestrooms and suites are comfortable, yet chic. 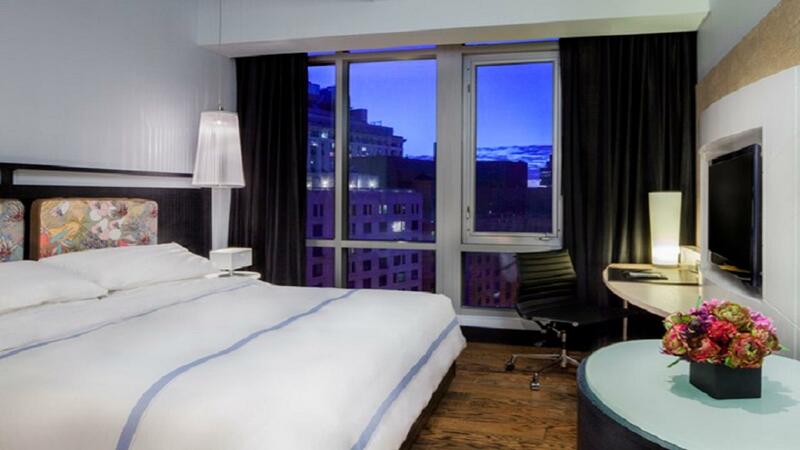 This luxury boutique NYC hotel near Union Square will exceed your expectations. Come stay, explore and have an adventure in exciting New York City. Sample seasonal farm-to-table fare sourced from the nearby farmer's market at Bowery Road, our Union Square restaurant in NYC. Warm, rustic accents along with hints of metal invite you into this relaxed yet sophisticated neighborhood restaurant. Enjoy weekend brunch, happy hour specials along with outdoor seating available during warm weather. Be sure to visit the Library of Distilled Spirits. This literary-themed cocktail bar and lounge in New York City's Union Square neighborhood provides an extensive collection of distilled spirits. Relax around a communal wooden table or study-like leather sofas with a classic or signature cocktail while enjoying tasty small plates from the bar. Whether working or relaxing, Hyatt Union Square offers these amenities and attractions for you to enjoy; Contact your agent for more details.